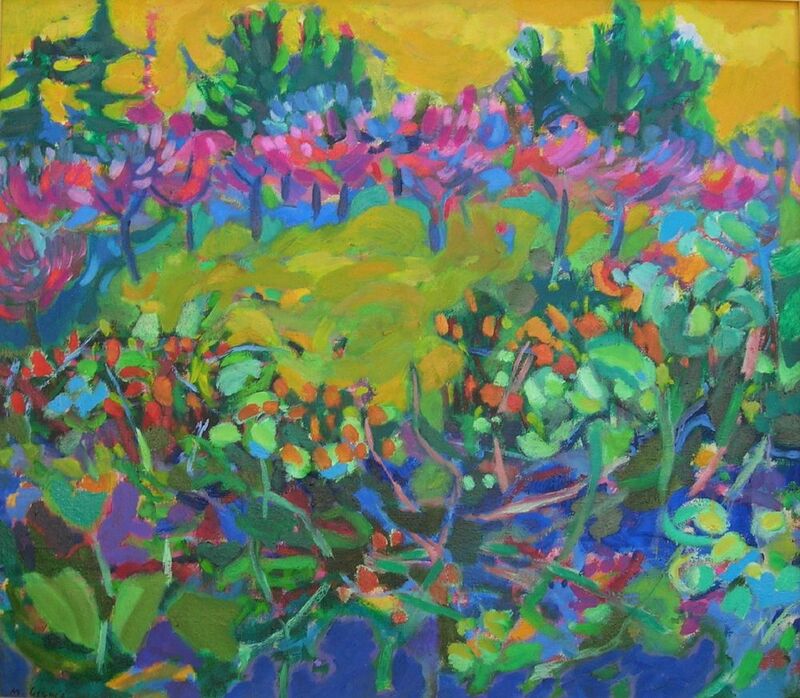 One of the first in series of orchards this painting was inspired by the peach trees by the banks of Danube, with wild shrubs surrounding it. It is made with expressive, loose strokes of a brush and bold colours with yellow and light green dominating the scene. Painting is on rough, excellent quality linen canvas stapled on the sides of classic stretchers frame. It has been exhibited in several solo shows in Serbia and UK. It is dispatched in a tube and needs professional re-stretching, unless agreed otherwise. Certificate of authenticity signed by me is included.